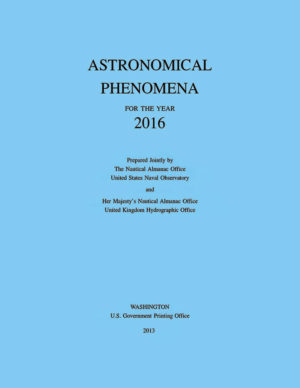 We have the yearly publications Astronomical Phenomena from 1980 through 2017 (except 1988). 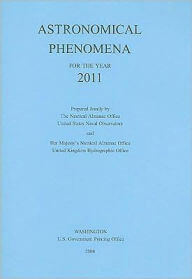 Price $12.00 each year. 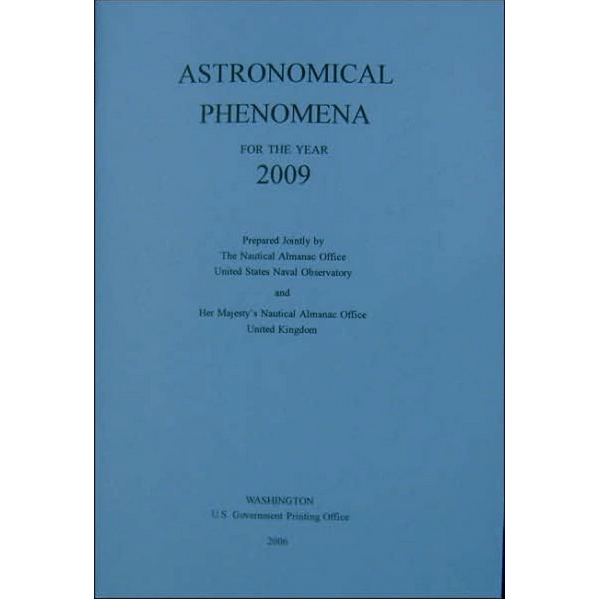 The Astronomical Phenomena contains a wide variety of both technical and general astronomical information. 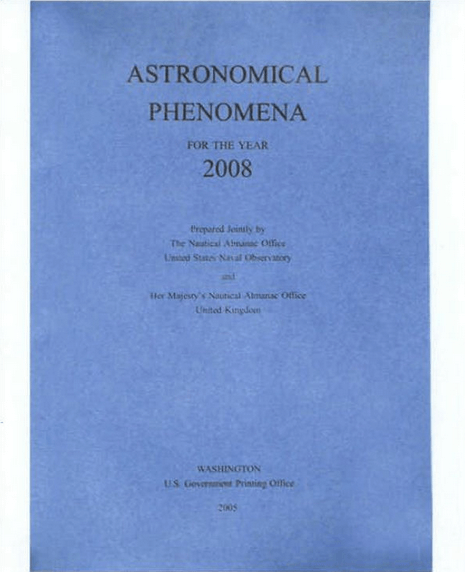 The book is a worldwide resource for fundamental astronomical data. 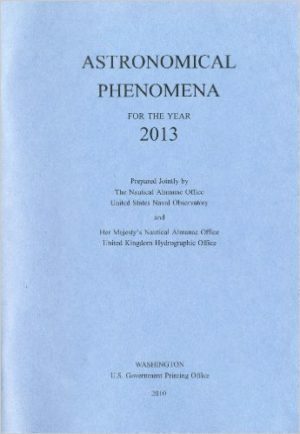 It is a joint publication of the U.S. Nautical Almanac Office at the U.S. Naval Observatory and Her Majesty’s Nautical Almanac Office in the UK, and contains data supplied by many scientists from around the world. The material appears in sections, each section addressing a specific astronomical category. 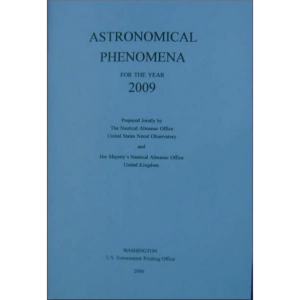 The book also includes references to the material, explanations, and examples. It is available one year in advance of its date. 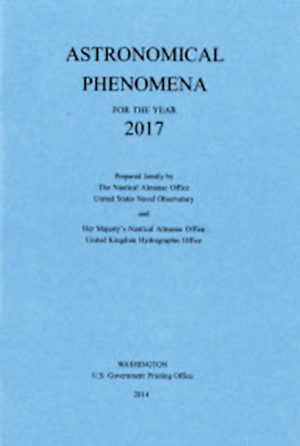 Section A: PHENOMENA: information on the seasons, phases of the Moon, configurations of the planets, eclipses, transits of Mercury or Venus, sunrise/set, moonrise/set times, and times for twilight. 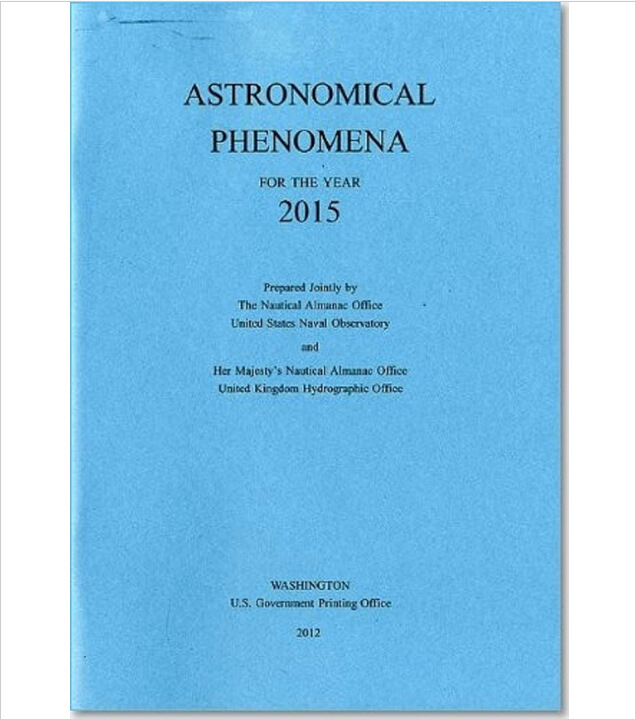 Preprints of many of these data appear in Astronomical Phenomena. Section B: TIME-SCALES AND COORDINATE SYSTEMS: calendar information, relationships between time scales, universal and sidereal times, Earth rotation angle, definitions of the various celestial coordinate systems, frame bias, precession, nutation, obliquity, intermediate system, the position and velocity of the Earth, and coordinates of Polaris. Preprints of many of these data appear in Astronomical Phenomena. Section C: SUN: detailed positional information on the Sun, including the ecliptic and equatorial coordinates, physical ephemerides, geocentric rectangular coordinates, times of transit, and the equation of time. Section D: MOON: detailed positional information on the Moon including phases, mean elements of the orbit and rotation, lengths of mean months, ecliptic and equatorial coordinates, librations, and physical ephemerides. Section E: PLANETS: detailed positional information on each of the major planets including osculating orbital elements, heliocentric ecliptic and geocentric equatorial coordinates, and physical ephemerides. Section F: NATURAL SATELLITES: positional information on the satellites of Mars, Jupiter, Saturn (including the rings), Uranus, Neptune, and Pluto. Section G: DWARF PLANETS AND SMALL SOLAR SYSTEM BODIES: positional and physical data on selected dwarf planets, positional information on bright minor planets and periodic comets. 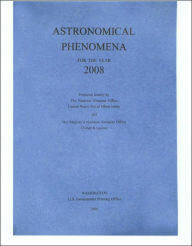 Section H: STARS AND STELLAR SYSTEMS: mean places for bright stars, double stars, UBVRI standards, ubvy and H β standards, spectrophotometric standards, radial velocity standards, variable stars, exoplanet and host stars, bright galaxies, open clusters, globular clusters, ICRF2 radio source positions, radio flux calibrators, x-ray sources, quasars, pulsars, and gamma ray sources. 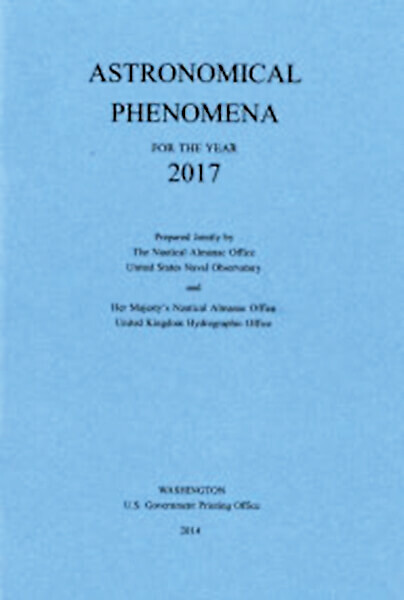 Section J: OBSERVATORIES: world wide index of observatory names, locations, MPC codes, and instrumentation in alphabetical order and by country. 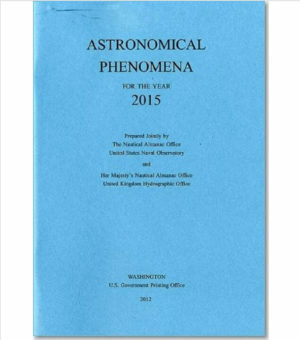 Section K: TABLES AND DATA: Julian dates, selected astronomical constants, relations between time scales, coordinates of the celestial pole, reduction of terrestrial coordinates, interpolations methods, vectors and matrices. Section L: NOTES AND REFERENCES: notes on the data and references for source material found in the volume. Section M: GLOSSARY: terms and definitions for many of the words and phrases. 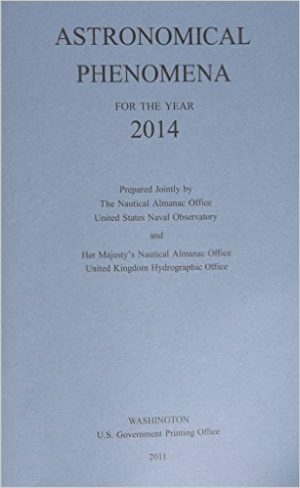 We have all from 1980 to 1987 and 1989 through 2017. Price $12.00 each. 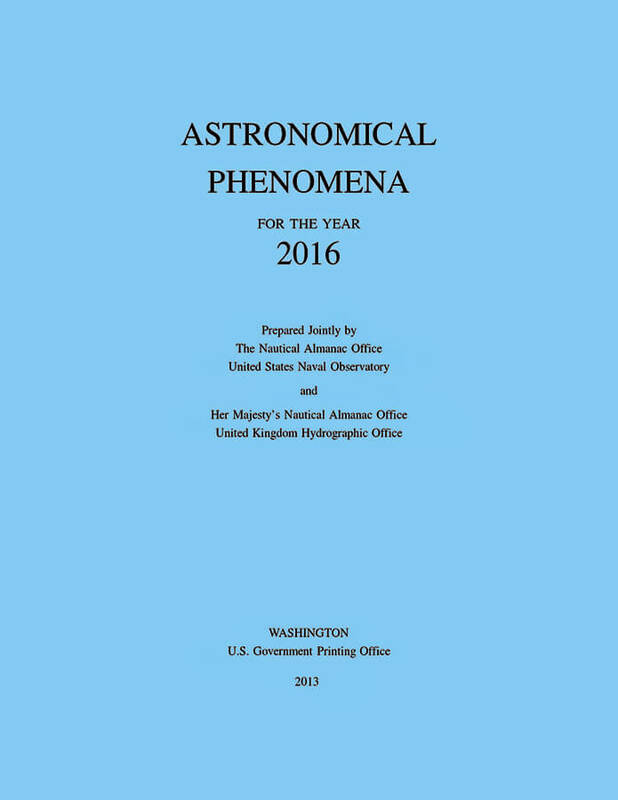 Year of Astronomical Phenomena you are purchasing. SKU: AP. 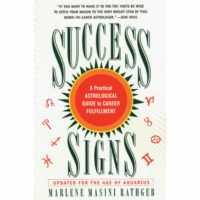 Category: Books on Astrology.